NABJ President Sarah Glover sent the following letter to Baltimore Mayor Stephanie Rawlings-Blake on behalf of the Baltimore Association of Black Journalists (BABJ). 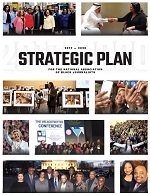 NABJ thanks BABJ President Nicki Mayo for their leadership on this important issue. BABJ's press release can be found here. I'm surely dismayed to hear that you banned WYPR-FM reporter P. Kenneth Burns from your weekly press briefings. 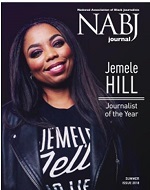 The National Association of Black Journalists (NABJ) joins the Baltimore Association of Black Journalists (BABJ) and asks that you publicly lift your ban immediately. There's no practical reason to ban a journalist from partaking in his duties to document civic and government life. The first amendment speaks to the right of a free press. I hope that your office will swiftly and publicly lift any said ban against Mr. Burns and that he may be given the same access as any member of the press, including access to your weekly press briefings, to ensure the public's trust. A ban impacting a reporter's rights to document government is a threat to all citizen rights everywhere. I look forward to hearing from your office about the next steps in this matter.